One of the best things about living in San Antonio has to be the weather. Most areas of the Texas are warm and dry most of the time and the sun shines most of the time, which means outdoor activities are very important to the state. That, combined with the beautiful scenery throughout the state makes Texas a great place to ride a motorcycle. And because motorcycles are very economic to ride, they have become increasingly popular for commuting to and from work. That is probably why the number of motorcycle registrations has doubled statewide over the last decade, according to the Texas Department of Transportation (TxDOT). Unfortunately, as the number of motorcycles on the road has increased, so has the number of accidents. That is why motorcycle riders should have a talented San Antonio motorcycle accident lawyer available, in case they need one. 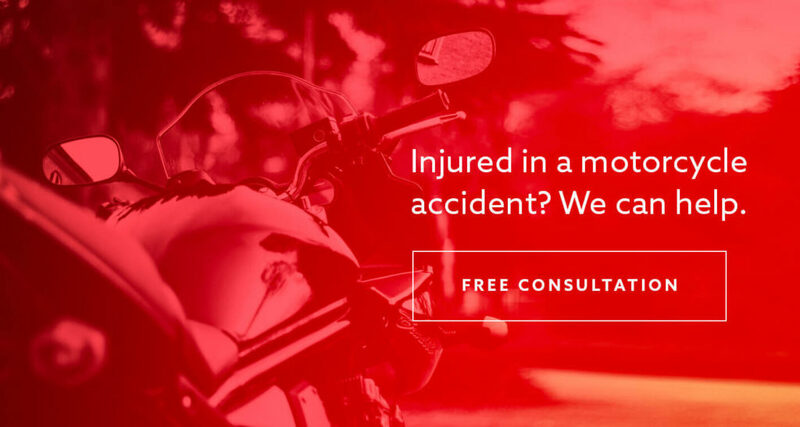 As a San Antonio motorcycle accident lawyer, we know that, when a motorcycle is in an accident, the results are often far worse than when a passenger car is involved, meaning the injuries are usually worse. In 2015, more than 8,200 motorcycles were involved in accidents nationwide, compared with more than 473,000 passenger cars. However, the likelihood of being killed in a motorcycle accident is 35 times greater than in a passenger car and the likelihood of serious injury is five times greater. Most motorcycle riders are aware that riding in Texas traffic entails a higher risk than driving other vehicles and most adjust their riding to compensate for this, as well as for surrounding conditions, including the potential for distracted or careless drivers. That is why most riders attempt to compensate for the additional risk of physical injury by using protective gear while they ride. Crash fatality risk is reduced by an estimated 37% by wearing a helmet. Virtually all of these injuries can be mitigated using protective gear, especially the helmet. Statistics also show that wearing a helmet use has a major impact on reducing the effects of an accident. Unfortunately, in Texas, the only motorcycle riders and passengers who are always required to wear a helmet are those under 21. As long as a rider is over 21 and has either passed an approved Motorcycle Operator Training Course or can prove they have at least $10,000 in medical insurance coverage, the wearing of a motorcycle helmet is optional. Despite that, as a San Antonio motorcycle accident lawyer, we urge everyone to wear a helmet at all times because they do save lives. A traumatic brain injury can have a profound effect on your life and the lives of your family and they can be prevented by wearing a helmet. When any of these happen, contact your San Antonio motorcycle accident lawyer as soon as possible. No one else will have your back after an accident. Even when a motorcyclist takes every possible precaution to minimize risk, however, accidents do happen, which means it is important to know how to handle the aftermath. A motorcycle accident is handled a bit differently than a standard auto accident, which means it is extremely important to hire an attorney capable of understanding the complexities of the laws surrounding them. The laws that apply to motorcycle accidents can be potentially complex. It is important to know, for example, that Texas is a 51 percent fault state, which means the negligent party who is determined to be more than half at fault in an accident is the at-fault party, which means it can be very important that every detail of the accident be represented accurately. There is also no clear guidance in Texas law regarding the issue of “lane splitting,” where motorcycle riders ride between lanes. That means your attorney should know all the complexities of Texas law on those, as well. In some cases, a motorcycle accident may have occurred due to a malfunction of the bike itself, which means it is important to conduct a thorough inspection of the bike post-accident. The experienced and knowledgeable Motorcycle Accident Attorney at the Hill Law Firm can provide you with the representation you need to cover every eventuality and to get you the compensation you deserve for your injuries and damages. His team will thoroughly investigate every aspect of the accident and make sure every detail is uncovered. They will make sure you recover everything you’re entitled to, including medical expenses, lost wages, pain and suffering and anything else you and your family are suffering as a result of someone else’s negligence. The firm is quite experienced in helping those injured or killed in motorcycle accident cases involving defective motorcycles, defective motorcycle helmets, and negligence by other drivers leading to injuries or death of motorcycle riders. If you or a loved one has been injured or suffered a wrongful death in a motorcycle accident, call the Hill Law Firm as soon as possible. All initial consultations are free.